It’ll be between 6.30 & 8pm UK time, but hard to confirm more precisely until the day as it’s not our show, we’re just featuring in it. I will be tweeting updates on the day. (3) KEEP YOUR HANKIE HANDY. “The 13 Most Devastating Deaths in Science Fiction” at Outer Places. You want to know how much weepage is in store for you? Here’s a hint. The regeneration of the Tenth Doctor Who only ranks #11 on the list! (5) DO-IT-YOURSELF DEMOGRAPHICS. Fynbospress studies “Reader Demographics via Emotional Beats” at Mad Genius Club. (6) BIG BOOK OF SCIENCE FICTION. Black Gate’s post “Ann and Jeff VanderMeer’s The Big Book of Science Fiction Will be One of the Largest Anthologies the Genre Has Seen” includes the volume’s extensive Table of Contents. Born April 24, 1914 — William Schloss a.k.a. WILLIAM CASTLE was born. Castle directed B-movie classics such as House on Haunted Hill, The Tingler, 13 Ghosts, Strait-Jacket and more. (8) PORTO’S. How I long for the good old days when I worked in a building across the street from Porto’s Bakery in Glendale, with a window view of the place! The Los Angeles Times recently profiled the business: “How long lines keep Porto’s Bakery affordable – and growing”. The rise of national chains like Panera Bread, Corner Bakery Cafe and Au Bon Pain doesn’t faze Betty Porto. Those brands serve a niche, she said, but they don’t come close to having the tradition that Porto’s commands with the families that have braved the lines for years. 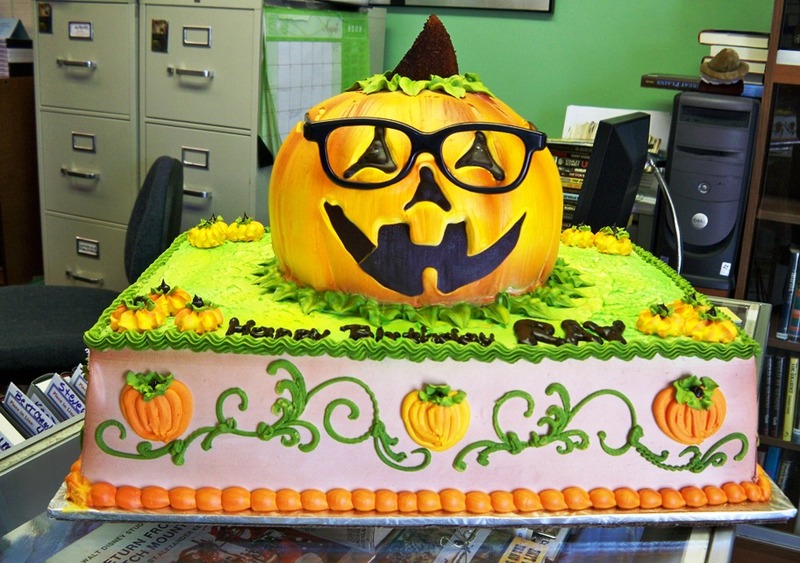 Porto’s is where John King Tarpinian used to order the specially-decorated cakes for Ray Bradbury’s birthday celebrations at Mystery & Imagination Bookshop. 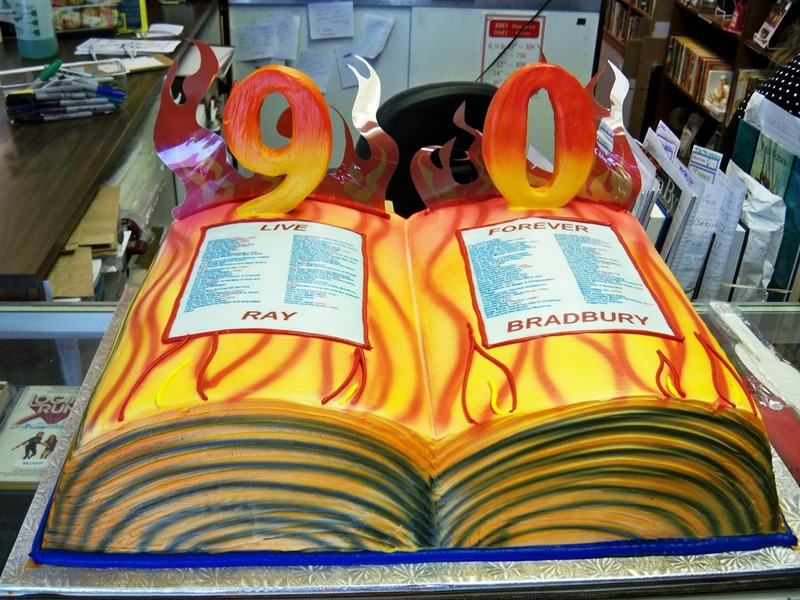 Ray Bradbury’s 2004 birthday cake. (9) PAY THE DOCTORS. National Health Service doctors recently dramatized their contract demands — “28 Docs Later: Secret Cinema Hosts Hugo Junior Doctors Protest”. …The protest was part of Secret Cinema’s ongoing drive to promote social causes. Secret Cinema is currently staging of Danny Boyle’s cult classic 28 Days Later, and recently laid on a free screening for hundreds of junior doctors and NHS staff. The company is supporting the Justice for Health campaign, which this week forced the current Health Secretary Jeremy Hunt to give an emergency statement to Parliament regarding the Government’s ongoing negotiations with Junior Doctors. (10) AS SEEN ON THE INTERNET. (11) MEANWHILE, DAMIEN WALTER WEIGHS IN. Also includes a list of the REAL reasons people vote for awards, which while cynical, I accept as accurate. My assumption is that the 4000+ votes this year is the full academy. Every pro + ex-pro motivated to vote by last year's drama. Ironically, the full academy will likely vote a more conservative shortlist than the Sad Puppies could have achieved themselves. 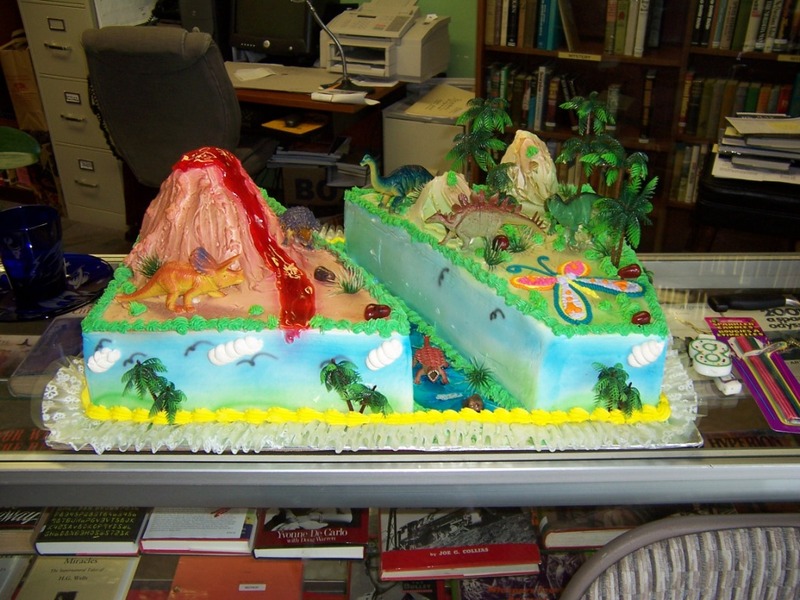 (12) HELP OVERCOME AWARDS SADNESS. Ian Sales is already at work on his own solution — “The inaugural Sputnik Award”. A few days ago, Lavie Tidhar tweeted a sarcastic comment, as he is wont to do, about libertarians having a science fiction award, the Prometheus, but there being no corresponding award for socialists. And while he likely didn’t mean it seriously, it did occur to me that perhaps there should be an antidote to science fiction’s notorious right-wingness (and by that I’m referring to the texts, not the authors). Where are the science fiction works which posit socialist, or communist, futures? Where are the sf books which celebrate left-wing political thought? And isn’t it about time we showed those right-wingers that: no, they don’t speak for all of us. In fact, they probably only speak for a minority. Back in 2009, Mark Boulds and China Miéville published a book of essays on “Marxism and Science Fiction” titled Red Planets. And Miéville has proffered a reading list of left-wing genre works. But this should be something which is ongoing, which grows each year, which is in conversation with both itself and the wider genre (yes, including its more fascistic elements). So, somewhat tongue-in-cheek, I thought it might be a good idea to, well, take Lavie’s idea and punt it out into public for discussion. And I decided to call this imaginary socialist sf award the Sputnik Award because it was the most obvious name for it – celebrating both the first artificial satellite to orbit the Earth (you can’t get MOAR SPACE than that), the Russian for “fellow traveller” (used as code for “communist”), and named for a thing rather than a person (who might later prove divisive or contentious). There must be examples out there. Any suggestions? Or is sf just too right-wing? Are we going to have to accept that science fiction exists only as a right wing genre? That even its left-wing writers end up writing right-wing stories? I hope not. Because that would be really sad. (13) DELANY. Colin Hinz asked fans to identify the eminence gris Samuel R. Delany mentions (but not by name) in his famous 1998 essay “Racism and Science Fiction”. Winning two awards at the 1968 Nebula Banquet did not begin to take away the sting of the words Delany listened to that night. It’s an odd experience, I must tell you, to accept an award from a hall full of people in tuxedos and evening gowns and then, from the same podium at which you accepted it, hear a half-hour jeremiad from an eminence gris declaring that award to be worthless and the people who voted it to you duped fools. It’s not paranoia: By count I caught more than a dozen sets of eyes sweeping between me and the speaker going on about the triviality of work such as mine and the foolishness of the hundred-plus writers who had voted for it. According to the Third Annual Nebula Awards Banquet program, the guest speakers at the 1968 event in New York (there was also one in Berkeley) were Frederik Pohl (then editor of Galaxy and If), Lawrence P. Ashmead (a Doubleday editor), and Gahan Wilson (artist and cartoonist). If you think you’ve guessed who (I don’t know the answer), let me make it a little harder. During the previous two years, Pohl had published a novella and short story by Delany in his magazines. And Doubleday was already scheduled to bring out Nova in the summer of 1968. (15) ONE OF THE BEST. Get Bruce Gillespie’s Science Fiction Commentary #91 as a free download from eFanzines.com. Landscape (widescreen) version at http://efanzines.com/SFC/SFC91L.pdf . In this issue Bruce Gillespie, Jennifer Bryce, and Elaine Cochrane write about their Favourites of 2014 and 2015, and Colin Steele covers The Field—reviews of many recent SF, fantasy, and horror books. 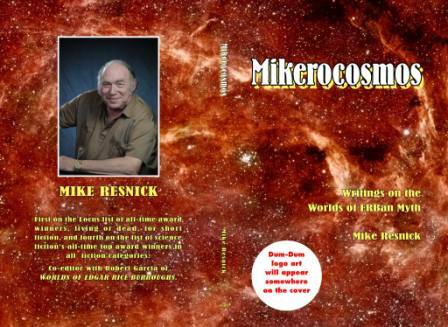 Front cover by Steve Stiles, and back cover from Murray Moore. 70,000 words. 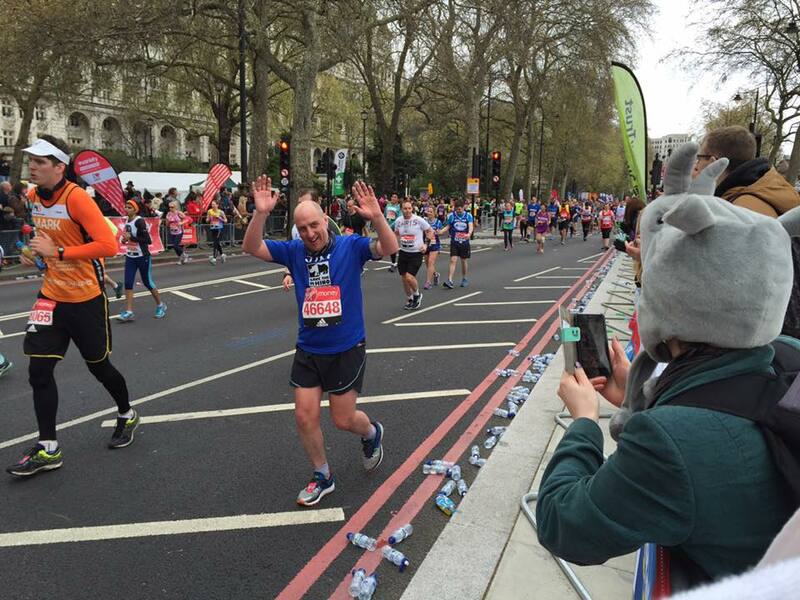 (16) THE FAN WHO RAN 26.2. 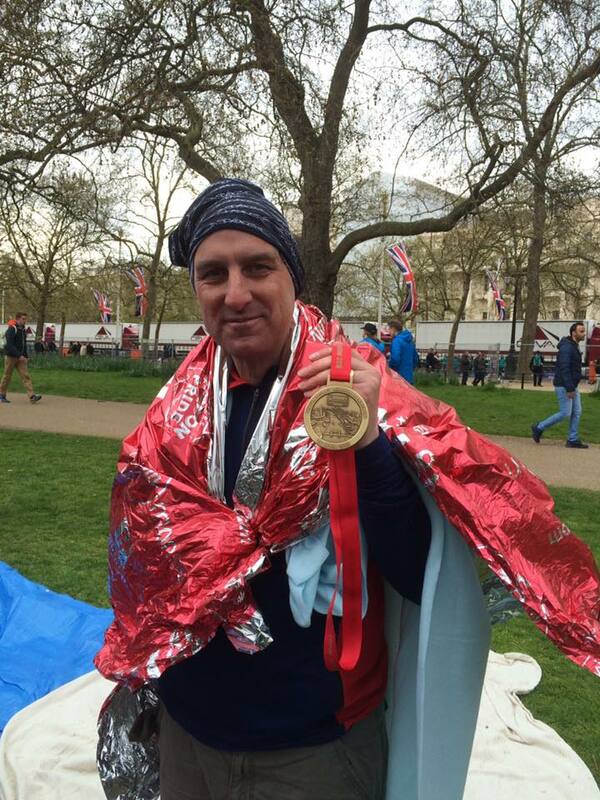 Jim Mowatt ran the London Marathon today in 5.15.02 to raise money to Save the Rhino. You can still donate at Jim’s fundraising page. When I checked this afternoon, he had raised £2,317.40 of his £2,500 target. Here are photos taken while he was on the course, and at the finish. Mowatt at mile 25. Photo by Silas Potts. Jim Mowatt basks in the glory of a completed marathon. (17) THE LIGHTS ARE ON. Zack Weinersmith’s Saturday Morning Breakfast Cereal strip looks into a future where humans have developed brain implants that electrically alter emotional states. This entry was posted in Pixel Scroll and tagged Ray Bradbury by Mike Glyer. Bookmark the permalink. Aw, man! Did all the comments here get wiped out? Well. phooey. For a Few Godstalks More – now with actual godstalk! The original posts didn’t come back, so neither did the comments.